While 'March Madness' is an important sporting event in the US; back home March is also a little mad as so many activities are going on. 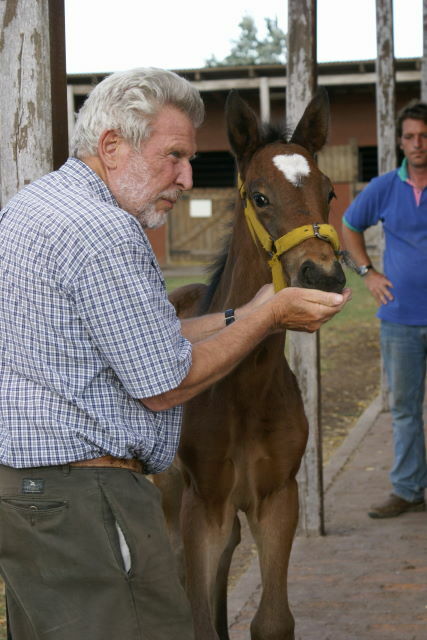 By the time autumn arrives in the Southern hemisphere, all our foals are on the ground and at an age where they are as cute as they are active. This year - Class of 2014 - there are a total of 30 foals with bloodlines from Milano de Flore, Quitender, Tatabra Luftballon,Dimitil de Terlong, Alligator Fontaine, Concorde and others. March is also a very busy month at the stud as the horses of our upcoming auction continue their training. We have always been proud to offer horses in a very advanced staged of training and as has been our custom, the horses at the auction are ready to start training in any barn - and you may recall that last year we actually had a horse make his debut in an event a few weeks after the auction. The current work includes rideability training, flatwork and general conditioning. You may see the 2011 lineup at our online catalog by clicking HERE. TRADING PLACES (formerly Tatabra Krimi - x Dimitil de Terlong) and rider Daniel Geitner once again won the March Madness Welcome Stakes in Aiken. Tatabra Triumph (lot 30) and Tatabra Uno (lot 32) both horses in our 2011 auction are related toTrading Places through their related mothers. 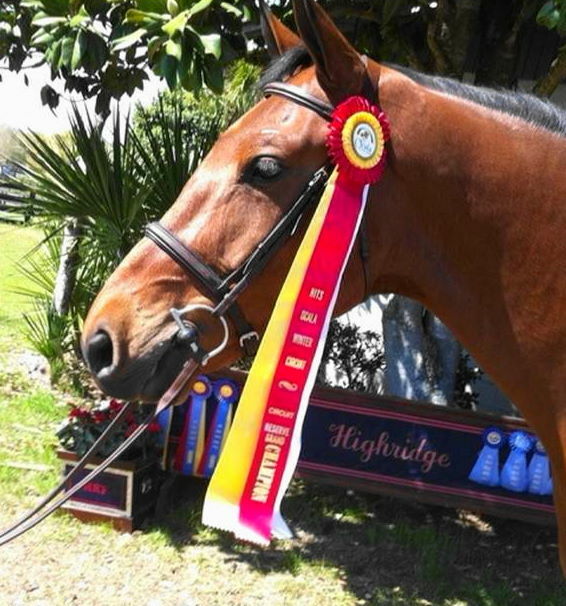 Q (formerly Tatabra Quereme - x Dimitil de Terlong) owned by Serenity Farms, ridden by Katie Agresra and trained by Susie Fried was Reserve Champion of the Children's Modified Category in Ocala 2011. Q was part of the 2008 auction (you can see him in 2008 HERE). 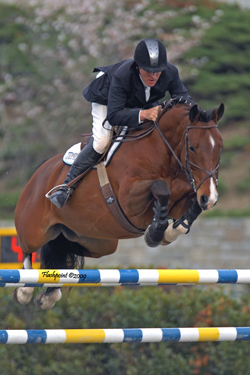 In Gulfport, at the Gulf Coast Magnolia Classic IV, we heard of several Tatabras that were present including TATABRA OPRAH (x Dimitil de Terlong) ridden by Emily Carter and trained by Laureen McKenzie; and TATABRA NASHVILLE (x Dimitil de Terlong) ridden by Michael Mallory and trained by Michael Halbleib. We understand Emily is focused on school, but never misses an opportunity to jump on to Tatabra Oprah and enjoy the ride. Congratulations to both Emily and Michael. In late April, we will be visiting North and South Carolina and will be glad to meet with you and share our 2011 catalog. Please do not hesitate to contact us at info@tatabra.com to make arrangements. We are very excited with our 2011 auction line-up - a fantastic group of horses that combines very successful sporting bloodlines - including Milano de Flore, whose first generation made an impressive showing in the Argentine New Horse Championships and the Argentine Breeder's Championship, making him the sire with most horses classified for the final event. If you are making plans to visit us or be at the auction, please do not hesitate to contact us for assistance with travel arrangements and planning.